This month I did a lot better with reading in general and I managed to blog every day during the week! That's not something I ever thought I would be able to manage. Plus, I still did stuff to talk about on the weekends, lol. 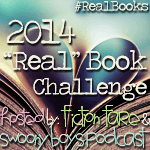 Now...onto all of the Real Books I managed to devour this past month! Psssst! Did you know March was National Reading Month? Not I. Keeping up with the times I tell you! 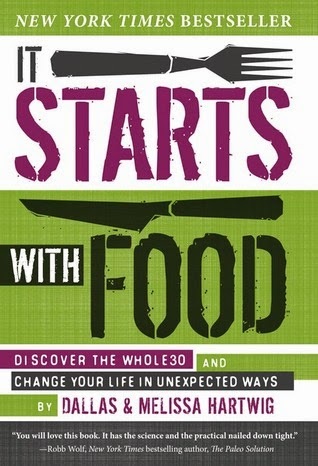 It Starts with Food: Discover the Whole30 and Change Your Life in Unexpected Ways by Melissa Hartwig So this was definitely something I had heard about from Nichole when she did the Whole 30 challenge in January and she said I needed to read it before I attempted the challenge aka plan. I agree, reading the why and not just the how to really helped me see the entire picture. Not a five star book though because come on...there's no love story, bwahaha! Synopses: It Starts With Food outlines a clear, balanced, sustainable plan to change the way you eat forever—and transform your life in unexpected ways. Your success story begins with "The Whole30," Dallas and Melissa Hartwig's powerful 30-day nutritional reset. Over the last three years, their underground Whole30 program has quietly led tens of thousands of people to weight loss, improved quality of life and a healthier relationship with food—accompanied by stunning improvements in sleep, energy levels, mood and self-esteem. More significantly, devotees of their program have reported the "magical" elimination of hundreds of lifestyle-related diseases and conditions. Now, Dallas and Melissa detail the theories behind the Whole30, summarizing the science in a simple, accessible manner. It Starts With Food will show you how certain foods may be having negative effects on how you look, feel and live—in ways that you'd never associate with your diet. More importantly, they outline their life-long strategy for Eating Good Food in one clear and detailed action plan designed to help you create a healthy metabolism, heal your digestive tract, calm systemic inflammation and put an end to unhealthy cravings, habits, and relationships with food. 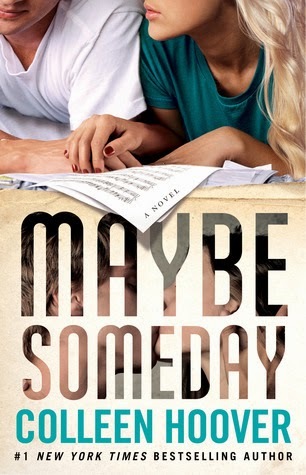 Maybe Someday by Colleen Hoover This was a book I couldn't stop talking about and now, two weeks out can finally say I'm not thinking about it all the time. Since you know that space in my brain is now thinking about Four. To read the full review of this book without spoilers, so it's not really a full review, go here. FIVE Stars!! Synopses: At twenty-two years old, Sydney is enjoying a great life: She's in college, working a steady job, in love with her wonderful boyfriend, Hunter, and rooming with her best friend, Tori. But everything changes when she discovers that Hunter is cheating on her;and she's forced to decide what her next move should be. Soon, Sydney finds herself captivated by her mysterious and attractive neighbor, Ridge. She can't take her eyes off him or stop listening to the passionate way he plays his guitar every evening out on his balcony. And there's something about Sydney that Ridge can't ignore, either. They soon find themselves needing each other in more ways than one. A passionate tale of friendship, betrayal, and romance, Maybe Someday will immerse readers in Sydney's tumultuous world from the very first page. 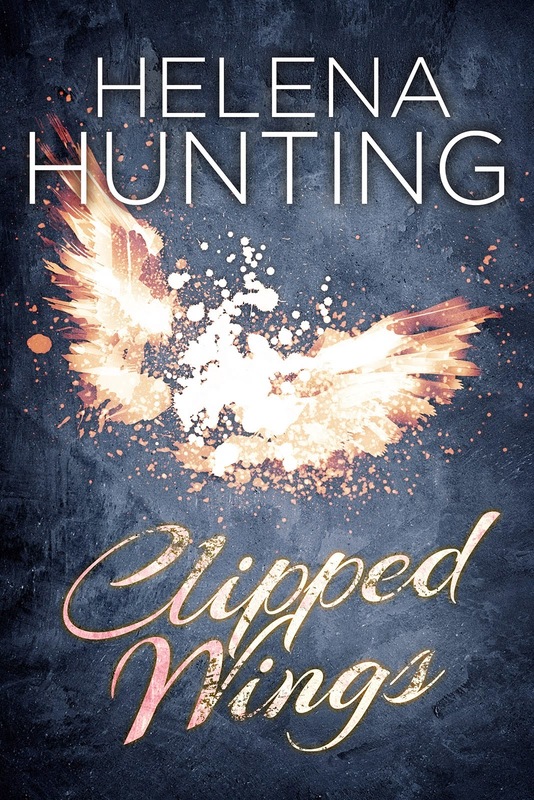 Clipped Wings by Helena Hunting is another book I first read as a Fanfiction and absolutely loved. This author is very talented at getting you hooked on a story and the changes that were made to bring it to publishing have been great! I loved this book (5 Stars) and can't wait to read the sequel in May! Synopses: Their body art is hot. Their chemistry is even hotter. 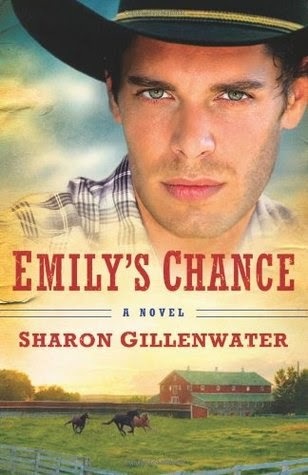 Emily's Chance by Sharon Gillenwater This was the second book in the series I deem the Texas Cowboy series, and while I loved it there wasn't anything special enough to give it five stars. 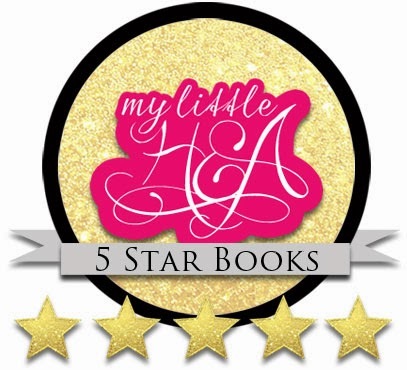 I do remember thinking Emily put up too much of a wall and fight throughout the whole book and had she really thought for herself I might have given it five stars! Synopses: Emily Rose may be in the tiny West Texas town of Callahan Crossing for the moment, but it's just a rung on her ladder to success. Her work at the Callahan Crossing historical society will look good on her ever-growing resume as she attempts to break into the prestigious world of a big city museum curator. Little does she know cowboy and contractor Chance Callahan has decided that he can convince her to stay--both with the town and with him. As he helps Emily restore the town's history after a devastating fire, he also helps her uncover her own hidden worth and the value of love. The second book in THE CALLAHANS OF TEXAS series, Emily's Chance is a heartwarming story of letting love take the lead. Readers will come away wishing they lived in Callahan Crossing. 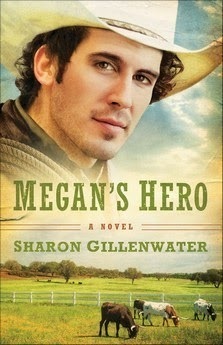 Megan's Hero by Sharon Gillenwater On the other hand, the third and final book in the Texas Cowboy series made me feel all warm and gooey in places I often forget about. I love Chance's heart and the way he swept in and wouldn't take no for an answer when Megan didn't think she needed help. Synopses: Six months pregnant, unmarried, broke, and alone, Megan Smith doesn't think things can get much worse--and then they do. Stuck on the road without shelter when a tornado appears, Megan barely escapes with her life. And when Will Callahan comes upon her in the road, her life will never be the same. While staying at the Callahan family ranch, she finds herself daring to love again, even while she suspects that Will's affection for her can't be anything but pity. But when she realizes that the townspeople think she's just a gold digger, she can't bear to stay. Can Will convince her that her past doesn't mean a thing when it comes to love? Filled with the easy charm and warmth of Texas, "Megan's Hero" will have readers believing in the power of love and forgiveness. Damaged II by H. M. Ward I put this book on hold immediately after I finished the 1st book on my iPad so I never really talked about it. I actually had to go back and reread several parts since I'd read a lot of other things since then and couldn't remember what the first book was about. #readerfail I ended up giving it four stars because I got into it and couldn't put it down, but how good could a series be if I couldn't even remember what it was supposed to be about?! I know I'm not selling you on this, but if read together I'm sure they would have been fantastic! Synopses: Home isn't supposed to be dangerous, but for Sidney it is. Returning home means that she has to face her past. It's not just the man who hurt Sidney that makes it horrible, but the family that didn't believe her. They were dead to her, but now that her mom is really dying things seem different. It's a chance to set things right. Hard As You Can by Laura Kaye I knew from the lead in at the end of the last book that I was really going to enjoy this one. It's got mystery and investigation with the romance and you know, I'm a sucker for a man in uniform or former man in uniform! I hate that there's such a big gap between publication dates this time, and I have a hard time remembering what's happened between each book. Not because it wasn't good or fascinating there's just a lot I read between! The damsel in distress in this one even though she's hella smart really won me over! FIVE Stars!! Synopses: Ever since hard-bodied, drop-dead-charming Shane McCallan strolled into the dance club where Crystal Dean works, he’s shown a knack for getting beneath her defenses. For her little sister’s sake, Crystal can’t get too close. Until her job and Shane’s mission intersect, and he reveals talents that go deeper than she could have guessed. I'm not sure how much Real Book reading I'll get done in April with all of my challenges, but the one book or two books I'm looking forward to reading are: Divergent by Veronica Roth since I saw the movie and LOVED it (and Four) and Labor Day by Joyce Maynard that I'm borrowing from the Library. So many books! I am super jealous right now. I have heard good things about Maybe Someday, glad you liked it too. Now I have to check it out! I really need to ready Someday Maybe. I read the first book to Hard as You Can but I didn't realize that one was out. I remember them bumping into each other but I think I would have to re-read the first one too. So many book in between.